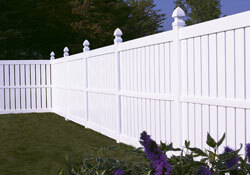 City Fence is Your 5-Star Authorized Bufftech Vinyl Fence Dealer for Buffalo, NY, & Western New York. 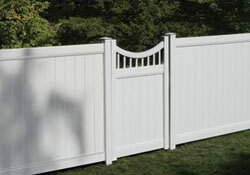 We offer the entire range of Bufftech Vinyl Fence Panels & Matching Gates, Vinyl Post & Rail Fences, Vinyl Arbors... and Optional Professional Vinyl Fence Installation anywhere in WNY. 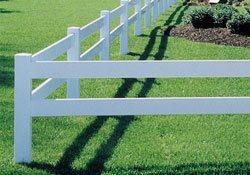 To find out more about vinyl fence installation best practices see our Vinyl Fence Installation Instructions. 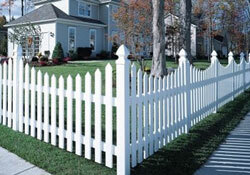 City Fence has been installing fences in Western New York since 1978. 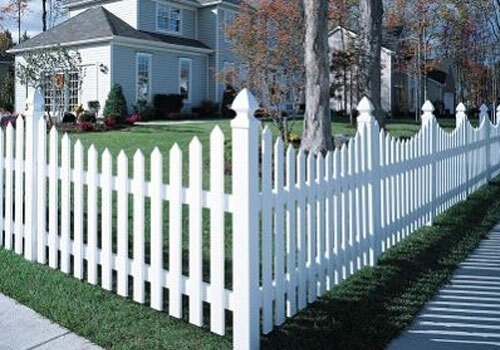 Most members of our Professional Fence Installation Crew have been with us for 15 to 20 years, and we continue to use the "old school" fence installation best practices, simply because they work. 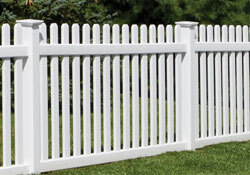 For our WNY climate, choose Bufftech heavy-grade 5x5 vinyl fence posts (that are actually stronger than 4x4 wood posts) and come with an industry-leading Lifetime Limited Warranty. To ensure the stability of your fence through the toughest of WNY winters, dig your post holes deep enough to install at least 3ft of post below the ground level. 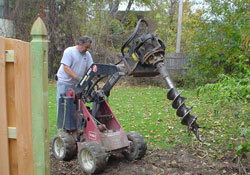 When forming your fence post footers, avoid pouring dry cement (or concrete) into your post holes. Thoroughly mix your cement (or concrete) with the correct amount of water, right at the site. Position your post vertically in the hole, backfill with your cement mix, and allow a week to fully cure before attaching any fence panels. To ensure the optimum custom fit, with perfect height transitions, all fence panels must be cut to size directly onsite in your yard. 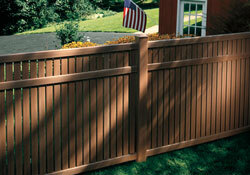 When City Fence installs Your Fence, we back it with a 5 Year Full-Labor Warranty. 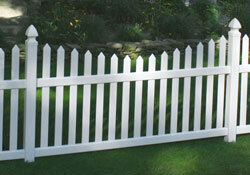 So if you experience a post or panel that moves out of place we will come out and fix it at no extra charge. 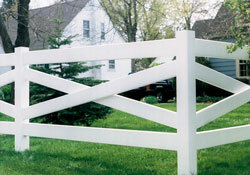 Will Be The Last Fence That You Will Ever Need To Buy! 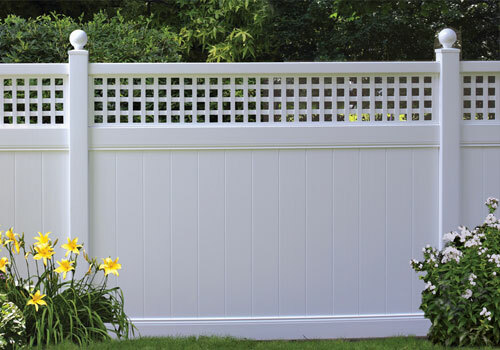 If you are considering installing your own vinyl fence, our experts are here to answer any technical questions that you may have to make your DIY project go smoothly. 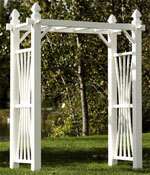 If you bring in plans, we will be happy to help you estimate your order and choose the best products for your project. We also offer delivery in WNY. 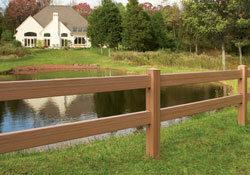 Bufftech Vinyl Fencing is a full line of high quality Vinyl Fence products made by Certainteed. With Bufftech Vinyl Fence Panels and fencing products you are assured of guaranteed quality fencing, backed up by the Bufftech Limited Lifetime Warranty and SureStart 5 Year parts & labor protection. 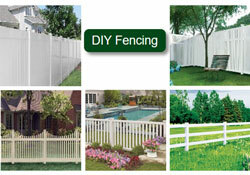 City Fence is Your 5-Star Bufftech Vinyl Fencing Dealer for Buffalo, NY and all of Western New York. 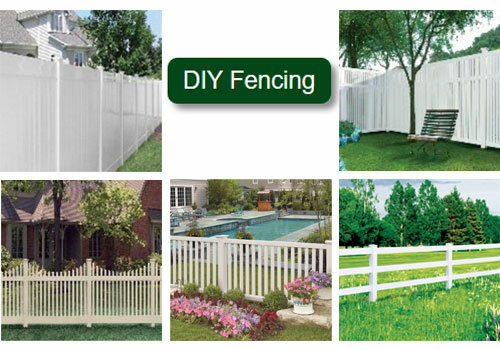 When you choose City Fence for your Residential Vinyl Fencing you have selected the optimum line of vinyl fencing products in North America, and you can rely on our professional fence installation services to make sure that your vinyl fence will look good and last for years - whatever our WNY climate throws at it. 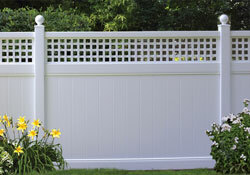 *Note: Not All Colors Are Available With All Fence Styles. Post & Rail Fencing is a cost-effective way to mark property borders without restricting visibility and a superb way to add curb appeal to your home. 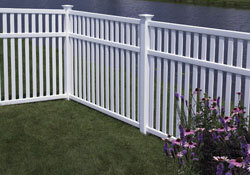 Bufftech CertaGrain Texture Vinyl Post & Rail Fencing is virtually maintenance free and is available in Colonial White or Sierra Blend. 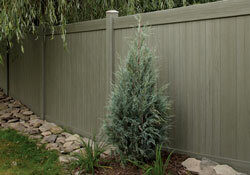 Bufftech CertaGrain Texture features ColorLast dark color fade protection and offers You the look of painted wood fencing with the low maintenance and proven performance of premium vinyl fence. 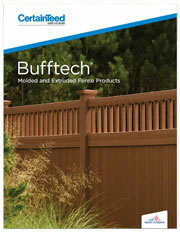 Covered by the Bufftech Lifetime Limited Warranty and SureStart 5 year parts & labor protection. 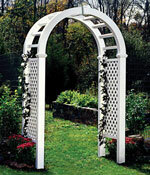 Arbors and Pergolas add an attractive accent and charming focal point in any landscape. 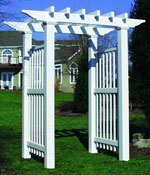 Bufftech Vinyl Arbors and Pergolas are virtually maintenance free, and are available in white. Bufftech vinyl offers You the look of a painted wood arbor with the low maintenance and proven performance of premium vinyl. 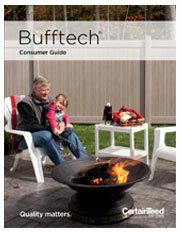 Covered by the Bufftech Lifetime Limited Warranty and SureStart 5 year parts & labor protection. 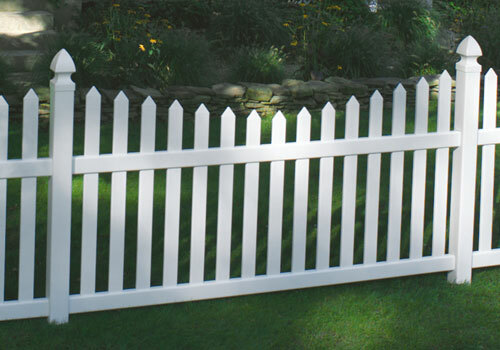 For those people who want their fence erected quickly and properly, with minimum hassle, call in the City Fence Professional Fence Installation Team. We work throughout the Western New York area, it costs less than you might think, and our work comes with a 5 year installation guarantee and separate panel warranty. 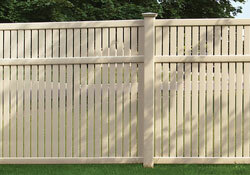 "The fence looks awesome, but more importantly the professionalism by all involved was outstanding, from sales, the installers, the receptionist at the store. 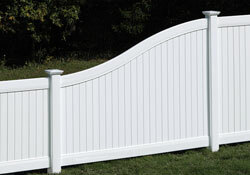 They speak volumes to customers like me and make City Fence shine..."
"Excellent quality fence. 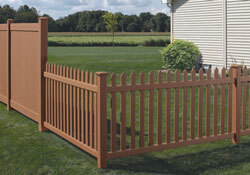 Friendly and courteous installers, friendly phone staff, and absolutely excellent fence installation..."